For this ADC course, many delegates came to join the training from across Japan. 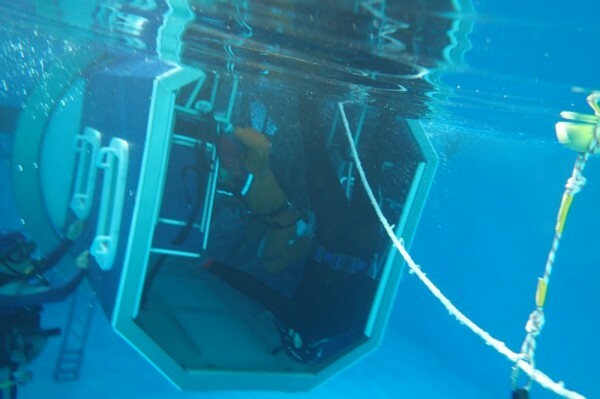 OPITO approved HUET (Helicopter Underwater Escape Training) is the training where delegates seated with seatbelt fastened, ADC training enable the delegates to train without seat nor seatbelt as being designed for the crew of rescue helicopter. The photo below is a scene from capsized ditching training without seatbelt. 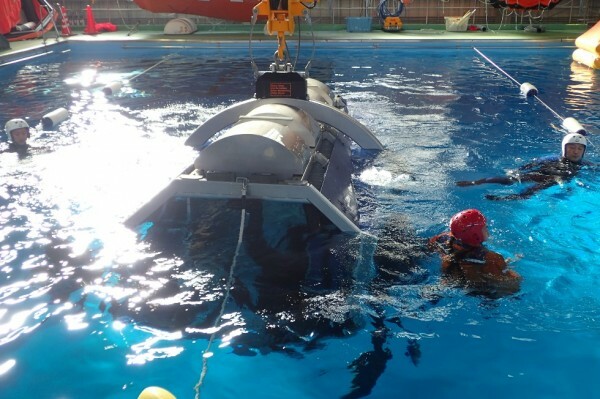 It is difficult to find the exit unless wearing seatbelt, as the gushing water into the simulator and buoyancy make their body unstable without being secured by the seatbelt. The pressure to open the window may be difficult to apply without the seatbelt. We can learn the importance to secure the body by the seatbelt through this training. If we do not have many chance to onboard the helicopter, of course we do have chance to ride on vehicle. How we should react if the car slip under the water? We can feel familiar to this special training if we can find connection with our real life. There will be a lot of chances to drive cars toward year-end through New Year, please drive safe wearing seatbelt. Safety first! !